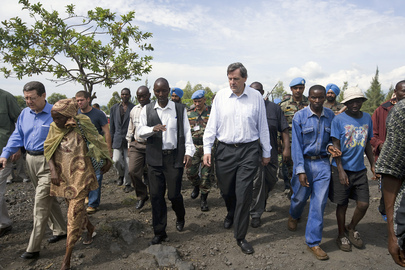 UNITED NATIONS, August 7 -- When the UN's top envoy to the Congo Alan Doss wrote in April to ask for leeway to get his daughter Rebecca hired at the UN Development Program, it set off a chain of events leading to the firing and pepper spraying of the person who held the Doss-sought post, and now starting on August 10 his criminal trial for fighting back, allegedly with his teeth. Click here for Inner City Press' exclusive three stories to date on this matter. Nicola Baroncini, who until June 22 was the assistant to UNDP's Deputy Director for Asia and the Pacific, told Inner City Press on Friday that he intends to ask for a trial on the changes against him, and to demand the presence of various UN witnesses. 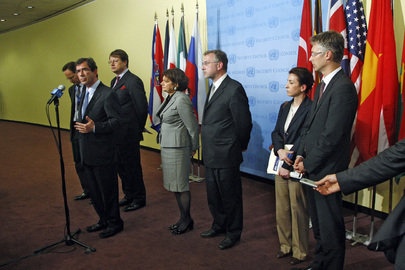 These should, he said, including the Special Representative of the Secretary General in the Congo, Alan Doss, whose April 20, 2009 email, first published by Inner City Press, asked for "leeway" in awarding his daughter the position Mr. Baroncini had been filling. On August 7, UNDP told Inner City Press that "Ms. Rebecca Doss began working at UNDP on July 1st 2009. The process through which she was hired is currently being investigated by UNDP’s Office of Audit and Investigation. Until that work is completed we will not have any further comments." It was improper for UNDP to process Rebecca Doss' "application," declare her on the short list, and offer her the position while her USG father was with UNDP. Beyond that, the contact by a UN Under Secretary General was improper. 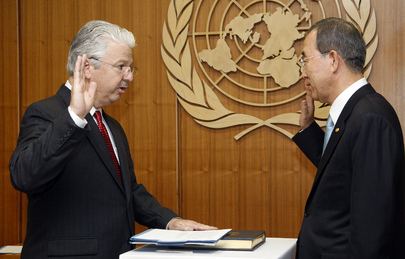 Sources now say that Doss has obtained his daughter other jobs in the past, and they note that Secretary General Ban Ki-moon may have something of a conflict in ruling on Doss' behavior, given the hiring of Ban's son in law Siddarth Chatterjee first by the SRSG in Iraq, Steffan de Mistura, then by the head of the UN Office of Project Services in Copenhagen, Jan Mattsson. Attention is turning to the UN system posts of Ban's daughter, Chatterjee's wife. Since Inner City Press' third story on the matter one week ago, Ban's spokespeople have repeated referred questions to UNDP, which has told Inner City Press that "the hiring is being reviewed." On August 7, Ban's Deputy Spokesperson Marie Okabe specified that UNDP's Office of Audit and Investigation is looking at it. But UNDP no longer has jurisdiction over Alan Doss; Ms. Okabe on August 7 answered Inner City Press' question from a week ago, that Doss transferred from UNDP to the UN Department of Peacekeeping Operations on July 1. On August 7, Inner City Press asked the head of DPKO, Alain Le Roy, what he thought of the chief of the Congo peacekeeping mission bending rules to get his daughter hired by the UN. Mr. Le Roy, too, said that UNDP must answer, while noting that he has read Inner City Press' story. Others have as well, and questions are multiplying. Video of August 7 noon briefing here. 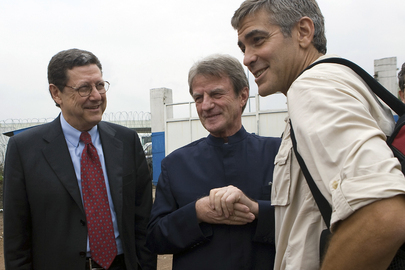 Alan Doss, at right, with Alain Le Roy, requests for hiring leeway not shown: Rule of Law? Spokesperson: No, I think it’s a UNDP question. Spokesperson: Well, at this point I don’t have anything new for you on this, and we have been saying that UNDP should handle that. Question: But I sent them an e-mail as soon as we finished on Friday, but I don’t have… I guess I am just pleading with you maybe to put a squeeze on? Spokesperson: Yes, okay, I will ask whether UNDP can answer you. Question: And I know that the Secretary-General met with Helen Clark this morning. Is there any readout? What did they discuss? Spokesperson: No, just internal matters. Question: Including this most recent issue of [inaudible]… not just the biting incident, but the job search? Spokesperson: I don’t think such minor issues come up in discussions of that sort. Inner City Press: You don’t think it arose? Spokesperson: I don’t think so. Thank you all so very much. Inner City Press: In the Council today they’re talking about peacekeeping and leadership. I just wanted to know, on the question that arose about Alan Doss and when he became a DPKO [Department of Peacekeeping Operations] employee. You’ve said, Farhan said Friday UNDP [United Nations Development Programme] would answer it. You said Monday that they’d answer it. But, still they haven’t answered. So, that’s why I am asking. It seems like it’s a straight factual question and that the information is in this building. Do you have an answer to that? Spokesperson: All I can tell you is that UNDP is reviewing the issue, that’s all I have really. I don’t have a definite answer for you. I know that UNDP is reviewing the issue, that’s all I can say at this point. Spokesperson: Well, we’re trying to ascertain the facts, that’s what I am saying, Matthew. I am not evading your question, I just don’t have the facts yet. And if I have them, I will give them to you as soon as I have them. In this specific case, as I said, I was told by UNDP that they are reviewing the case. That’s all I was told today. I asked the question. Question: I mean, the guy who sort of raised this complaint that the job was improperly given has like a criminal trial date on 10 August, you know, that’s going to be released. He says that there is some connection between these two. Spokesperson: Well, you know, I have to say about that incident, you know the one that you have mentioned several times here. 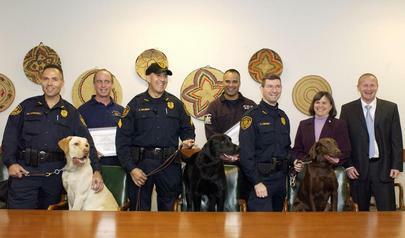 There was a serious nature to the security incident that took place on 22 June in the DC-2 building. And the incident resulted -- and I found that out yesterday -- resulted in the injury of one of our UN officers, whom I might add was transported to the hospital because of the severity of his wound. So, I was not aware of that fact when I spoke to you yesterday. Now I know that the man was hospitalized. He has since had to do several tests for specific diseases as a result of the wound, which was extremely stressful for everyone involved. He was out on sick leave after the incident, based on the hospital’s request. So this is what I have. It was much more serious than was originally reported to us. And so I just wanted to underline that fact. Inner City Press: [inaudible] I had asked Farhan, maybe now that you know this you can tell. The dispute seems to be whether security used pepper spray on the individual prior to what appears to be a biting or vice versa. Do you have any information on that? Spokesperson: No, I don’t have the details on whether pepper spray was used or not. It was a violent incident and the individual was violent, as I can testify. The person was bitten. The court return date is Monday, August 10. Watch this site.